(June 21, 2017): Over the last year, the False Claims Act penalties have almost doubled. This is especially important when you consider the fact that the False Claims Act is the primary civil enforcement tool used by the U.S. Department of Justice to fight fraud committed against government programs by individuals and entities. Often referred to as “Lincoln’s Law,” the statute was first enacted in 1863, in the midst of the Civil War, to combat the wrongful conduct of government contractors. Under the whistleblower provisions of the False Claims Act, an individual (also known as a “relator”) with knowledge of a fraud against the government, can essentially step into the shoes of the government and file a case, under seal, on behalf of the government, in the name of, the United States. After a False Claims Act case is filed, if the government elects to intervene in the case and a recovery is made, the relator may be eligible to receive between 15% and 30% of the monies. If the government decides not to intervene in the case and the relator moves forward, if a recovery is made, the relator can collect up to 30% of the monies. Most of the False Claims Act cases brought against health care providers are filed by whistleblowers. As set out in a December 2016 DOJ Press Release, during Fiscal Year 2016 the federal government obtained more than $4.7 billion in False Claims Act settlements and judgments. Of this total, $2.5 billion came from individuals and entities in the health care industry. For false claims or statement made after October 23, 1996, but before August 1, 2016, the minimum penalty which may be assessed under 31 U.S.C. 3729 is $5,500 and the maximum penalty is $11,000, per false claim or statement. For false claims or statements made on or after August 1, 2016, but before February 3, 2017, the minimum penalty which may be assessed under 31 U.S.C. 3729 is $10,781 and the maximum penalty is $21,563, per false claim or statement. 81 Fed. Reg. 26127, 26129 (May 2, 2016). For false claims or statements made on or after February 3, 2017, the minimum penalty which may be assessed under 31 U.S.C. 3729 is $10,957 and the maximum penalty is $21,916, per false claim or statement. 82 Fed. Reg. 9131, 9133 (February 3, 2017). As the above adjustments reflect, since August 1, 2016, the amount of penalties that may be assessed under the False Claims Act has nearly doubled. As set out under 31 U.S.C. 3731(b)(1) and (2), a civil action under 31 U.S.C. 3730 may not be brought more than more than 6 years after the date on which the false claim violation occurred, OR more than 3 years after the date when facts material to the right of action are known or reasonably should have been known by the official of the United States charged with responsibility to act in the circumstances. However, in no event can a civil action be brought more than 10 years after the date on which the violation is committed. From a practical standpoint, this means that a defendant may be held liable for false claims knowing submitted to the government over as much as a 10 year period. As outlined above, the potential penalties that may now be assessed for each violation of the False Claims Act add up quickly. Coupled with the fact that the government may be able to seek penalties and damages for up to 10 years of wrongful billing could easily mean the financial demise of your health care company. It is therefore essential that you take appropriate steps to reduce your level of risk. The development and implementation of an effective Compliance Program will be a key component of your risk reduction strategy. Robert W. Liles, J.D., M.B.A., M.S., serves as Managing Partner at the health law firm, Liles Parker, Attorneys & Counselors at Law. A number of our attorneys have served as Assistant U.S. Attorneys and in management positions at the Department of Justice. Our attorneys understand the False Claims Act and can represent you in False Claims Act matters and cases. If you have questions regarding the False Claims Act, give us a call. For a free consultation, call Robert W. Liles. He may be reached at: (202) 298-8750. Is liable to the United States government for a civil penalty of not less than $10,957 and not more than $21,916, plus 3 times the amount of damages which the government sustains because of the act of that person. Importantly, the government does not have to show proof of specific intent to defraud in order for a violation of the False Claims Act to be found. (September 24, 2012): There are 3 recognized legal theories under which False Claims Act (FCA) liability may be established – the FCA Express Certification, Implied Certification, and Worthless Services theories. As you may know, the FCA is the government’s primary fraud fighting tool, and prohibits the presentation of false claims for payment by the government. It is used most often, but not exclusively, in health care fraud matters. Recently, the FCA was amended to prohibit the holding of identified overpayments as well. In any regard, the most common theory relied upon by the government and relators in FCA cases is known as “Express Certification.” Specifically, an “expressly” false claim occurs when a provider falsely certifies compliance with a law or contractual term that is a prerequisite to payment. As you know, all health care providers submit claims on the CMS-1500 form, and as part of that form, the provider must certify that the service or supply provided was “medically indicated and necessary to the health of [the] patient.” Therefore, if a provider submits a claim for payment for a service or supply that does not end up being “medically indicated and necessary,” they have falsely certified compliance and have likely violated the FCA. Additionally, this also includes claims when services were not provided as billed, or not provided at all. FCA express certification is the most obvious type of false claim. For instance, when a provider performs a stent procedure to open up a patient’s blocked artery, but the patient’s occlusion level (the percentage of blockage) was not significant, the procedure was most likely medically unnecessary. But by the provider signing the CMS-1500 (usually electronically), they have formally stated to the government that the service was medically necessary, making the claim false. When a whistleblower or relator alleges a simple “express certification” theory in their complaint, the government may very well take the case if the facts are clearly set out and show on their face that a violation has occurred. It is also more enticing to the government if the dollar amounts at issue are high (greater than a million dollars). Regardless, the government ends up taking (it is formally known as “intervening”) many fewer cases than it receives – only around 25%. Many of the cases in which the government decides not to intervene may likely be legitimate matters, but the resources of the Department of Justice are limited. In any regard, as Medicare and Medicaid fraud prevention efforts continue to expand, there will likely continue to be a rise in the number of FCA cases filed. This area of the law has become increasingly important as the Justice Department looks to stem the rising tide of fraud and abuse in the nation’s healthcare system, and providers should ensure that their compliance programs are effective to identifying and deterring potential violations of the FCA and other laws. Robert W. Liles is the managing member of Liles Parker PLLC, located in our Washington D.C. office. Robert was the first National Health Care Fraud Coordinator for the Department of Justice, and has extensive experience in litigation cases under the False Claims Act. He is a talented advocate and has practiced with and before many of the Assistant United States Attorneys (AUSAs) that handle these cases on a daily basis. For more information or for a free 30 minute consultation, call today at: 1 (800) 475-1906. 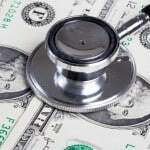 (July 15, 2010): When handling Medicare overpayments, providers must exercise caution. Since the May 2009 passage of the Fraud Enforcement and Recovery Act (FERA) and subsequent enactment of the Affordable Care Act (ACA), we’ve heard a lot about how the government looks at Medicare overpayments and how providers should handle them. Prior to the clarification and statutory reinforcement of the “overpayment” issue provided under the ACA, a number of providers have mistakenly believed that in the absence of a direct demand for repayment, an identified overpayment would belong to the provider. Notably, this issue is not new. In fact, the recent enacted provisions have merely reinforced the government’s long-standing position that a provider has a responsibility to voluntarily refund Medicare overpayments without an overpayment determination being made by the government. As you will recall, the agreement to return any overpayments is fundamental to a provider’s eligibility to participate in the Medicare program. Section 1866(a)(1)(C) of the Social Security Act (42 U.S.C. § 1395cc) requires participating providers to furnish information about payments made to them and to refund any monies incorrectly paid. Implemented in 2006, the Medicare Credit Balance Report (CMS-838) is designed to ensure timely compliance with this obligation. Secondly, ACA Section 6402 echoes the requirements of CMS’ 2002 proposed rule that providers “must, within 60 days of identifying or learning of the excess payment, return the overpayment to the appropriate intermediary and carrier, at the correct address, and notify the intermediary and carrier, in writing, of the reason for the overpayment.” (67 Fed. Reg. 3662 (January 25, 2002)). A conservative reading of that proposed rule arguably suggested that HHS-OIG’s voluntary disclosure protocol may not be “voluntary” after all but a mandatory repayment may be required. Thus, the government has long sought to clarify when, not if, overpayment refunds would be required. Despite the publicity resulting from PPACA and its FCA implications, it is important to remember that this issue was addressed over a decade ago. As set out in the 1998 holding in United States v. Yale University School of Medicine, Civil Action No. 3:97CV02023 (D.Conn. ), the government intervened in a qui tam and obtained $1.2 million settlement based on alleged FCA violations for failing to return credit balances. In summary, providers who fail to promptly (within 60 days of identification) return an overpayment to the government do so at their own peril. As an aside, even if the overpayment at issue is not owed to a Federal payor (such as Medicare or Medicaid), it is imperative to remember that virtually no overpayments belong to a provider. In the case of non-Federal payors (such as a private insurance company), we are aware of numerous instances where the non-Federal payor has notified the provider that due to the administrative burden of applying an overpayment to a beneficiary’s account (typically due to the complexity of the payment history), the non-Federal payor has chosen to either “waive” collection of an overpayment or not to cash a check sent by the provider. This also regularly occurs when the identified overpayment is under a certain amount (such as $25.00). When faced with such a situation, a provider must review applicable State law to ascertain how an overpayment must be handled. For instance, in Texas, Title 6 of the Property Code requires businesses and other entities holding unclaimed property to turn the property over to the Texas Comptroller’s Office after the appropriate abandonment period has expired. As in most States, violation of these escheat laws can subject a provider to various penalties. The lesson to be learned here is quite clear – regardless of who the payor is, an overpayment can rarely, if ever, properly be retained by a provider, regardless of the amount in controversy. A provider must carefully examine both Federal and State statutes when faced with this issue. The best practice is to return an overpayment to the payor (Federal, State, or private patient), regardless of the amount, upon identification. Should a provider be unable to identify who is owed an overpayment or cannot locate a valid address to return the overpayment (due to a variety of factors), your State’s escheat law must be considered. This can be a complicated issue, especially when a large overpayment has been identified and it is owed to a Federal payor. While time is of the essence, it is strongly recommended that you contact your legal counsel as soon as it appears that a potential large or complicated Federal overpayment has been found. Your attorney can help guide you through this complex process.